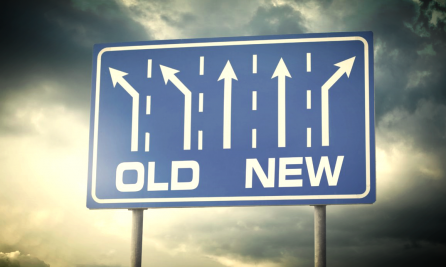 Is the loyalty industry the right place to look for “new” things? The other day, I was confronted with the typical question of an investigative journalist. “What is new in the travel loyalty market?” But does that question make sense at all in the context of loyalty programs? Or should it make sense? It is the job of journalists to discover and talk about new things. Old stories are for historians (and usually of limited interest to persons other than historians), new stories are for journalists. Recycling old stories is not a sustainable business model for journalists. So I fully understood the introductory question of a journalist, with whom I had not interacted anymore for a couple of years, but who wanted to get back into the loyalty topic on the occasion of the Marriott-Starwood merger. And I’ve recapped in two minutes the situation of the market, from the increasing importance of data to the choice of currency. Her conclusion was surprising at first glance: “But these are the same topics as ten years ago!” But after some further reflection, her remark was not only to the point, but not really surprising either. On one hand, the industry is still talking more than actually progressing in key areas such as exploiting available data properly. On the other hand, yes, the basic mechanism of loyalty programs is well known and well in place. There is actually no need to change anything with it. While typical consultants are eager on defining new trends and selling them to their “victims”, this does not mean that they are necessarily right. I am highly careful when I hear somebody talking about the latest trend in loyalty, the next big thing or Loyalty/CRM 5.0. I have seen too many of them. Usually, it becomes very quickly silent about such things again – or they don’t really represent this major importance and are dangerous as they distract the attention of management from more important topics they should focus on. Or if they are supported with sufficient marketing dollars, they can actually do real harm to programs – see the spin-off debate with the resulting destruction of loyalty. Certainly, the market develops by incorporating new technologies etc., but does that mean that the fundamentals of loyalty change? No! While hardly anybody sends out letters anymore (or this becomes a voluntary USP!) to push a promotion in times of electronic and mobile communication possibilities, this is just a question of cost efficiency/speed to the market (how to do it? ), but not of new loyalty theories (what to do?). As a matter of fact, loyalty is a “business” model, which has just been working perfectly fine for decades, if not more, because it responds perfectly to very basic human instincts. And as any coach of a sports team knows, never change a winning team. We might be in a boring industry in a sense that it has no need for permanent self-reinvention as it already has found the right balance – but as long as it is successful, what is really bad about that? Loyalty is an industry that needs to evolve, but not to change. It might be a small distinction, but a crucial one. Anyone entering the loyalty industry as “disruptor” is probably in the wrong place from the outset. In a certain sense, the loyalty business is hence old-fashioned and may not the best playground for journalists or consultants looking for new things. The industry definitely needs to find ways to exploit better the potential of loyalty in many regards, but without challenging the underlying mechanisms of loyalty, which are rewards and recognition in exchange for continued loyalty. If you look closely at many programs, you will realise that at least one of these three elements (rewards, recognition, continuity) needs to be fixed as it got broken over time, for instance when the CRM 3.0 strategy was implemented, without really understanding the wider implications. Such fundamental reflections usually take place when you create a loyalty program in first place or when you merge two programs, but nothing prevents others from taking one day out of their schedule and reflect on that rather than doing things, which might actually work against the one and only objective any loyalty manager should pursue. That would be good – and big – news for once, wouldn’t it?